There’s a Buffalo Exchange store on West 26th Street just a few doors down from the yoga studio that I visit most Saturday afternoons. When I’m a bit early for class, I like to pop in and check out the recent acquisitions. 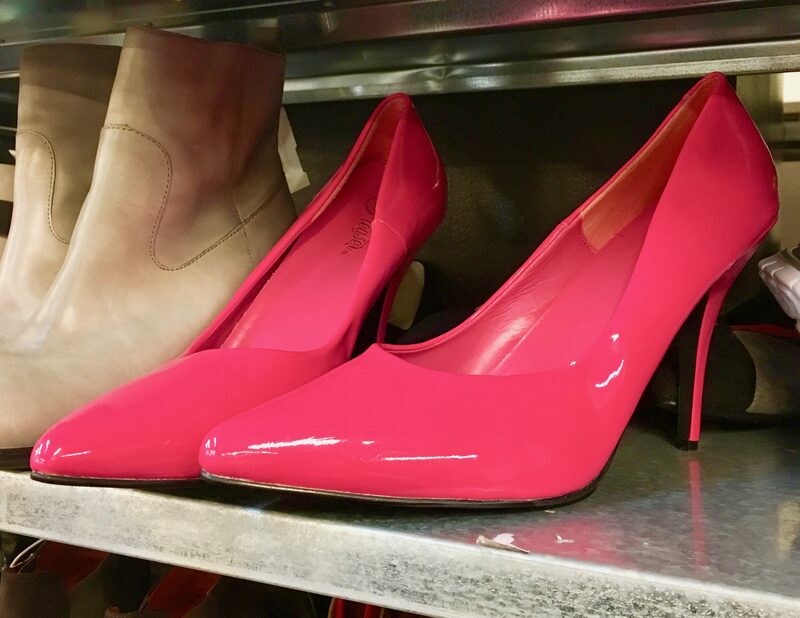 This past Saturday, my eyes popped out of my head when I spotted these Hot Pink Patent Leather Spike Heels. Not only are they absolutely gorgeous, and in perfect condition — the soles look like they’ve never even touched the sidewalk — but they are a size 16! Wow! I can’t imagine who would give them up, but I am sure they will make some lucky drag queen very, very happy!